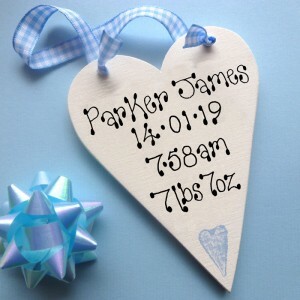 Personalised Baby's Message Heart IN 3 DIFFERENT COLOURWAYS. A personalised Baby's Keepsake wooden heart has your own personal message.This decorative wooden heart bears your own personal message. Enter your personalised details in the box provided. 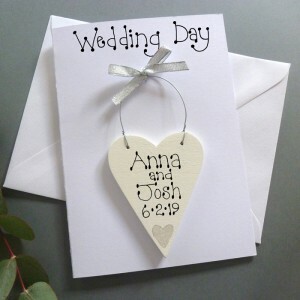 INTERIOR DECORATION ONLY.No more than ei..
Personalised Wedding Day Card A special card for that special day with a detachable personalised heart to keep forever. Blank inside for your special message. Please enter your personalised details in the box provided. Three words and date as illustrated (required). The Message in Picture ..
Personalised New Baby Card AVAILABLE IN 5 DIFFERENT COLOURS. 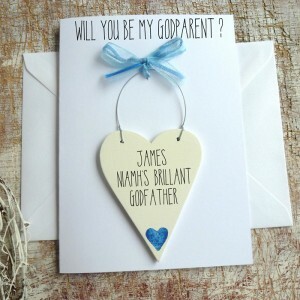 This card bears a personalised detachable wooden keepsake. Blank inside for your special message. Please enter your personalised details in the box provided. Name and date as illustrated. The Message in Picture is an .. AVAILABLE IN 4 DIFFERENT COLOURWAYS. Hand painted wooden sign with bow and wire hanger.INTERIOR DECORATION ONLY. The Message in Picture is an example only. 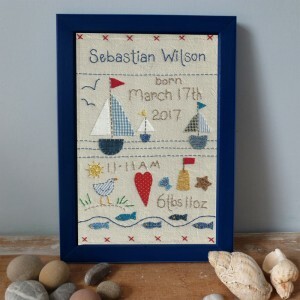 Please enter your complete message as you wish it to appear.Please enter your Personalised details of up to 15 words in the box provided.PS..
Baby's Birthday Picture (Boats). Record your Child’s birthday in a very special way with this charming picture. 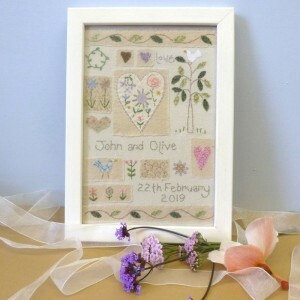 Hand stitched in a naive style and full of symbolic imagery for long life and happiness. All frames are wooden and are available in either Natural Oak or painted in the col.. Daughter's Personalised Birthday CardThis card bears a personalised detachable wooden keepsake. Blank inside for your special message. Please enter your personalised details in the box provided. No more than six words. The Message in Picture is an example only. Please enter your complete ..
Personalised Birthday Heart Gift Box. 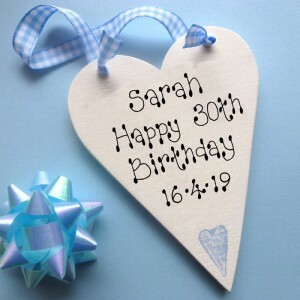 The perfect gift to celebrate and remember that special Birthday.The handmade wooden heart is personalised with your own message of up to 15 words.Enter your personalised details in the box provided. The heart has a wire hanger and is finished with a b..
Personalised Birthday Message Heart IN 7 DIFFERENT COLOURWAYS. A decorative wooden heart with your own personal message celebrate a very special birthday.This decorative wooden heart bears your own personal message. Enter your personalised details in the box provided. INTERIOR DECORATION O.. Boy's Personalised Holy Communion Card A charming personalised Holy Communion memento. A great gift for proud parents to remember that special day. 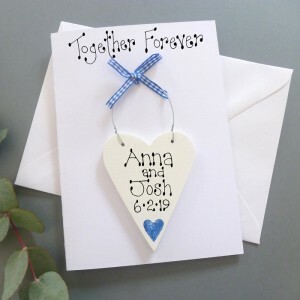 Wooden detachable keepsake hand painted in eco-friendly paints and individually inscribed by hand. A great reminder of a special day. Blank inside .. 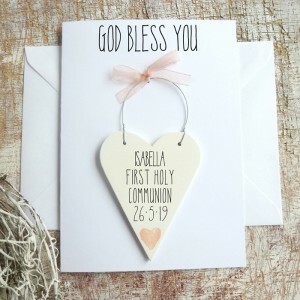 Girl's Personalised Holy Communion Card A charming personalised Holy Communion memento. A great gift for proud parents to remember that special day. 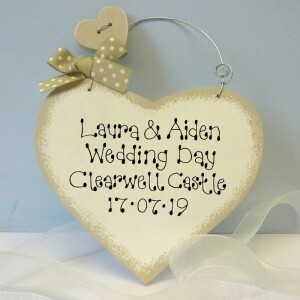 Wooden detachable keepsake hand painted in eco-friendly paints and individually inscribed by hand. A great reminder of a special day. Blank inside..
Will You Be My Godfather? 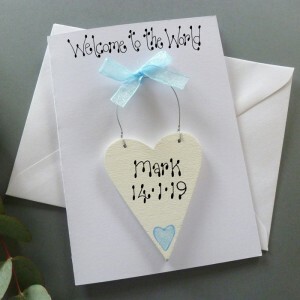 Personalised Card This card bears a personalised detachable wooden keepsake. Blank inside for your special message. Please enter your personalised details in the box provided. No more than six words. The Message in Picture is an example only. Please en..
Will You Be My Godmother? 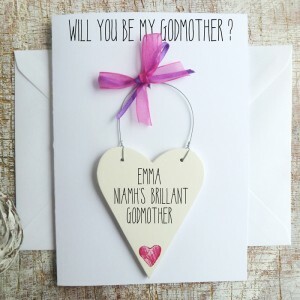 Personalised Card This card bears a personalised detachable wooden keepsake. Blank inside for your special message. Please enter your personalised details in the box provided. No more than six words. The Message in Picture is an example only. 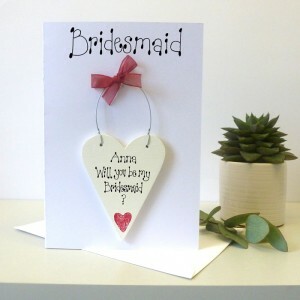 Please en..
Will You Be My Bridesmaid Card This card bears a personalised detachable wooden keepsake. Blank inside for your special message. Please enter your personalised details in the box provided. No more than six words. The Message in Picture is an example only. Please enter your complete m..
Love Sampler. The perfect way to record that very special day. Full of symbolic imagery for long life and happiness. Hand stitched with appliqué and embroidery detail. All frames are wooden and are available in either Natural Oak or painted in the colours specified with eco-friendly paints.. 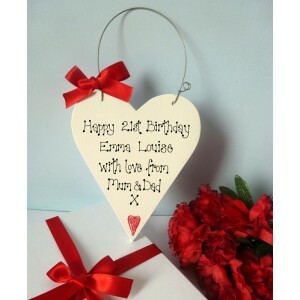 Mother Of The Bride Personalised Heart AVAILABLE IN 6 DIFFERENT COLOURS. Mother Of The Bride Personalised Heart. Unique Personalised Gifts for the mother of the bride. 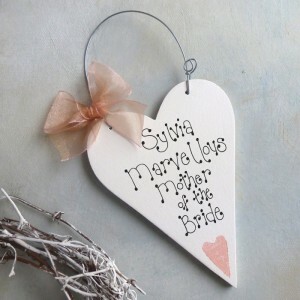 Marvellous Mother of the Bride Message Heart these decorative wooden hearts bear your own personal message. This love..
Personalised Together Forever Card A special card for that special day with a detachable personalised heart to keep forever. Blank inside for your special message. Please enter your personalised details in the box provided. Three words and date as illustrated (required). The Message in Pic..